There is always a good chance to fall in love or renew love with your partner. 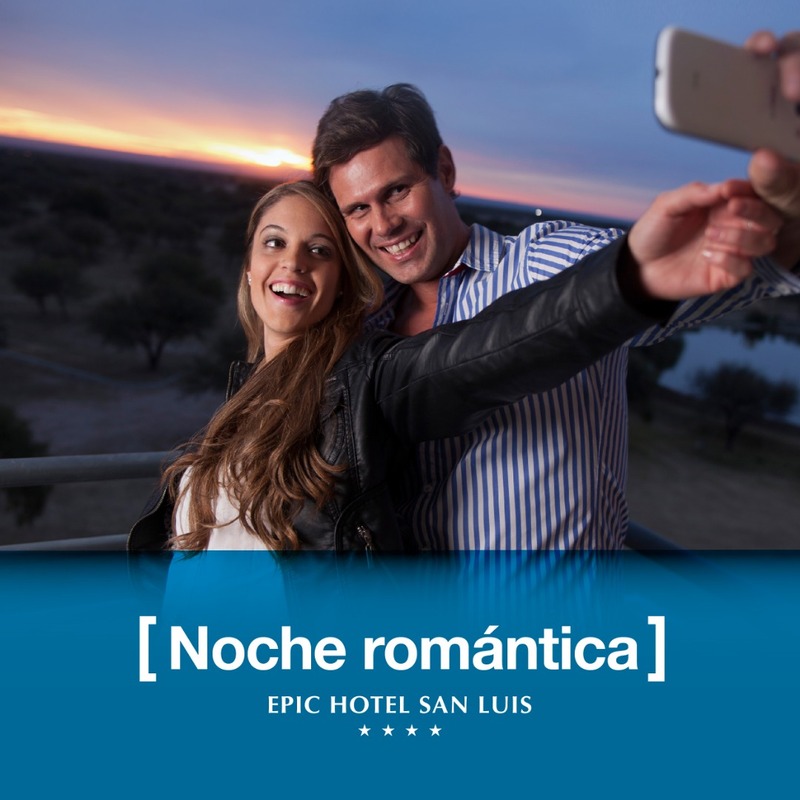 If you want to enjoy a special night, Epic Hotel San Luis invites you to live it with all the services included. Accommodation in a standard category double room. Access to spa water circuit. Three-course dinner for two at Epic Restó accompanied by a bottle of wine. Promotion valid from 03/05/2019 to 06/30/2019 - Rate for standard room per night in double basis - Benefit subject to availability or until stock is exhausted - Non-cumulative benefit with other current promotions - Not applicable for Long weekends , or periods of school break - Consultations and advice, Central Reservations 0810 122 3742.